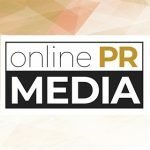 Online PR News – 15-April-2019 – New York – INSPIRATIQUE, a new business and marketing agency based in New York with its temporarily virtual headquarters in Tokyo, Japan, launched its world-changing lifestyle education media project under its brand name, "Planet GemStar". Planet GemStar aims to create the snowball of desired changes in all the people with the desires to make positive changes in their lives. Its focus is the tips, useful information and stories about how internal thinkings and mindsets affect one's reality and how to create better realities. It is designed in the way that each article convinces the material-driven mindset to initiate the changes from within rather than forcing anything.